BRANKO - João Barbosa, commonly known as Branko, is a Portuguese DJ and producer who first became known as part of the Buraka Som Sistema. His debut album as Branko, Atlas, was released in 2015 — inspired by his travels around Cape Town, New York, Amsterdam and São Paulo — and featured collaborations with Princess Nokia and DJ Sliink and with Rodes Rollins on the track "Out Of Sight (So Right)". Aside from his global travels, Branko’s immensely popular track ‘Let Me Go’ featuring Mr. Carmack & Nonku Phiri, gained traction on sites such as i-D, Hypebeast and The Fader. He has also been tapped to produce music for artists like Santigold and Anik Khan, as well as M.I.A., with whom he worked on her 2016 album AIM. Branko also oversees a monthly radio show on NTS Radio, Enchufada Na Zona, which is broadcast live from the label's headquarters in Lisbon, and formed the inspiration for a compilation of the same name. Branko's second solo album 'Nosso' released on on March 1st 2019 features collaborations with Sango, Cosima, Mallu Magalhães, Dino d'Santiago, Catalina García of Monsieur Periné, Pierre Kwenders, Miles From Kinshasa, Umi Copper, PEDRO and Dengue Dengue Dengue. SU REAL - Popular culture in India is evolving rapidly, and Su Real is at the forefront of that movement. The old divisions – Bollywood, commercial, trance – no longer make sense. Su Real represents this new breed of Indian music producers who create and curate for the modern Indian dancefloor. Taking his trademark style across the country, Su Real shared the stage with a veritable who’s who of dance music today: Major Lazer, Skrillex, Diplo, Jason Derulo, Yellow Claw, NGHTMRE, JSTJR, Pretty Lights, Hudson Mohawke, MC Zulu, Alo Wala, among several others. Nucleya, the reigning king of Indian EDM has long been a benefactor, offering him key support slots on his tours & album launches. 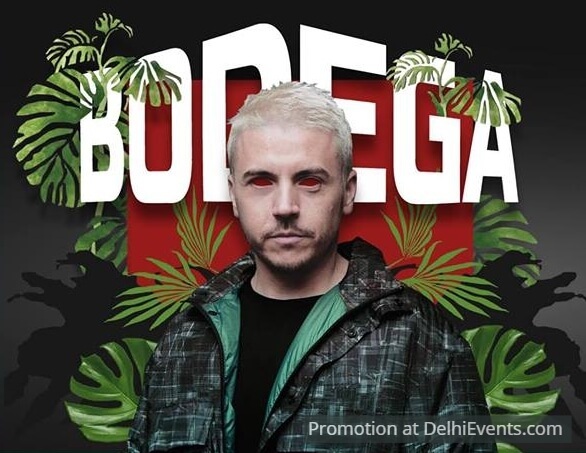 Su Real has also performed at major music festivals including Sunburn, Vh1 Supersonic, NH7 Weekender, Timeout72, MTV Bloc Party, India Bike Week and more.